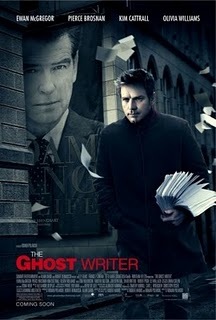 If you’re in the mood for nail-biting suspense, then THE GHOST WRITER is the movie for you. A ghost-writer (Ewan McGregor, Trainspotting, Down with Love) is hired to complete the memoirs of a former British prime minister (Pierce Brosnan, Matador, Die Another Day) and uncovers secrets that put his own life in jeopardy. Director Roman Polanski (Rosemary’s Baby, Chinatown, Death and the Maiden) is back to form with this stylish, edge-of-your-seat political thriller, that plays extremely well whether you’re into politics or not. Polanski’s trademark themes, such as black humour, paranoia, the pervasiveness of evil, and a preoccupation with ‘foreignness’, are all showcased in this film that looks as chilly as its story. With plot twists that will keep you guessing all the way to the conclusion, it’s a pleasure to see an intelligent thriller that’s extremely well acted.